The initial thing to do is take a full-length practice test. It’s best to take it under test-day conditions if you can. Most notably, a practice test will show you which areas need some extra attention. You don’t have a lot of time, but spend your spare minutes deep in literature. Read thoughtfully and read critically, and get in as much as you can. For the Writing and Language section, you unquestionably must know the basic grammar rules covered on the tests. Few hours of review can make a big change in your score. 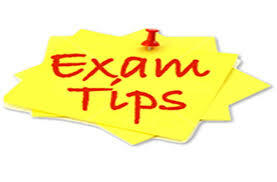 Analysis the formulas that will be given to you on the test, as well as those you’ll need to have memorized. Finally, ake sure you’re easy with your calculator. Review complicated practice problems that you’ve persevered in mastering. Don’t try to force new material into your head. Imagine the specifics of what’s going to happen—and how you’re going to handle it all like a champ. There’s no guessing penalty, so you can’t lose anything by bubbling in an answer choice. To score high students can use Socrato to practice online and get insights beyond scores. Socrato’s Companion Series helps you get the most from your Official Study Guide. The Socrato Learning Analytics blog explores news on standardized tests, test preparation tutoring, and the role of e-learning and education technology on test prep and tutoring. You can connect with us on Twitter, Facebook, LinkedIn, and Google Plus. Subscribe to our blog via email to get the latest news and updates on socrato. Use Socrato to get detailed insight into your strengths and weaknesses! Copyright © 2017 Socrato All rights reserved. All test names and other trademarks are the property of the respective trademark holders. None of the trademark holders are affiliated with, or in any way endorse, Socrato.com.